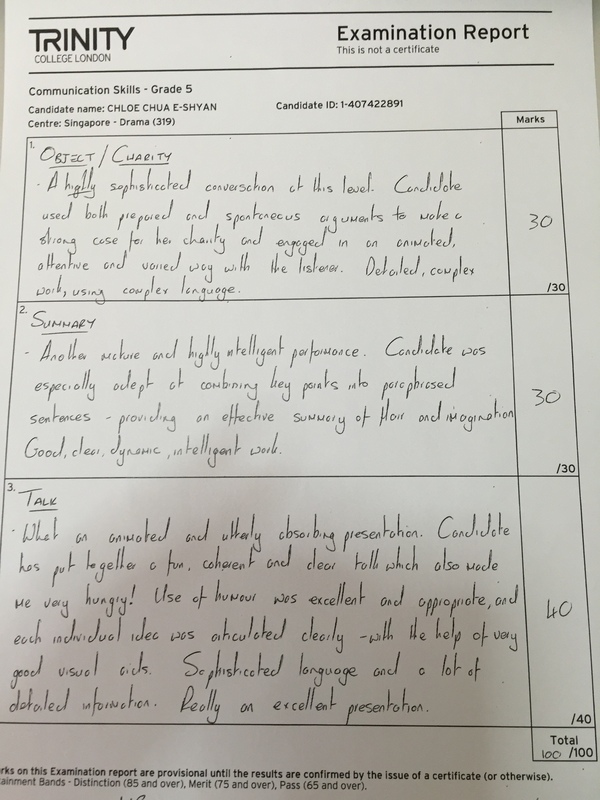 Congratulations to our Trinity student Chloe Chua E-Shyan for achieving a perfect score 100/100 on her Grade 5 Communication Exams! She is not only our overall top student for 2014 but she is also the first Trinity Communication Skills student from Singapore to achieve a perfect score in a Trinity Communications exam. Well done Chloe. All your hard work has paid off.